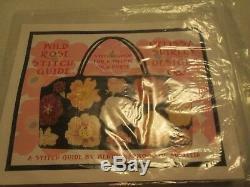 Wild Rose purse handpainted needlepoint canvas by Melissa Shirley. Image size 15 3/4" x 7". Included is a stitch guide by Wendy Harwood of Aristeia. Mint condition and from a smoke free environment. 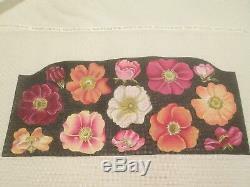 The item "WILD ROSE PURSE-MELISSA SHIRLEY-HANDPAINTED NEEDLEPOINT CANVAS-STITCH GUIDE" is in sale since Saturday, March 23, 2019. This item is in the category "Crafts\Needlecrafts & Yarn\Embroidery & Cross Stitch\Hand Embroidery Cloth & Canvas\Plastic Canvas". The seller is "gail1156" and is located in Marietta, Georgia. This item can be shipped to United States.